The mold removal New Orleans specialists with 911 Restoration New Orleans know how to remediate any mold infestation, no matter how severe, large, or small it may be. The humid, subtropical climate in New Orleans creates the ideal breeding ground for mold in Louisiana homes. The moisture-rich air causes mold to pop up in all the damp, dark areas of the home, especially if water damage has been an issue in the past. The mold removal New Orleans pros are licensed, bonded and insured, so you can rest assured that they are both trustworthy and competent. When it comes to dealing with mold removal, it is important to get it taken care of immediately. 911 Restoration New Orleans promises to be at your home within 45 minutes of your call. Don’t worry about waiting until morning if you discover mold in the middle of the night, we are open and available 24/7/365, standing by to serve you right away. If your office location or residence is already taking on water from a ceiling leak, water heater loss, or any other means of flooding, then contact our water damage New Orleans team with 911 Restoration New Orleans for immediate assistance today! In order to keep your home mold-free, the water damage experts want to offer some advice on how to prevent an infestation. Below are some easy steps any New Orleans homeowner can take to guard against mold. Due to the extreme shifts in weather throughout the year, it is important to have a proper functioning air conditioning unit and heating system. Maintaining good air ventilation throughout all the rooms will keep moisture levels down and reduce mold growth. Fresh air is the best way to improve air flow, but fans and dehumidifiers also work. Do not let leaks go uncorrected. If you notice a dripping pipe, a leak in the ceiling or water stains on walls, investigate further. It is important to stop the water from getting inside and fix the water damage before mold begins to grow. Keep your bathroom and kitchen ventilated by running an exhaust fan when you are cooking or taking a hot shower. Use your A/C unit when possible to assist in keeping these rooms dry. Watch out for large appliances that use water. Dishwashers, refrigerators, dryers and washing machines need to be able to vent. If it feels too humid in the rooms that these appliances are kept, create proper room ventilation. With years of experience in the industry, the mold removal New Orleans specialists will get the job done correctly the first time around. Their IICRC certification shows just how dedicated they are to the home restoration industry and their customers. Don’t let your amazing home fall victim to the effects of a mold growth situation without help from the best in the industry. Contact our mold removal New Orleans team with 911 Restoration New Orleans and let our experts handle it for you with ease today! Letting our mold removal New Orleans technicians into your home is a big deal to us, and we take that privilege seriously. We aim to maintain professionalism throughout the entire home restoration process, including always putting the customer first. We cater to each customer by offering free home inspections, affordable prices and the ability to work with all insurance companies. 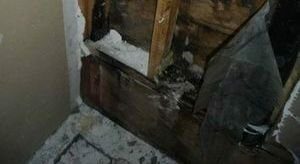 Water intrusion and high humidity are primary causes of interior mold growth. By preventing excessive moisture in your house, you will greatly minimize the appearance of mold. A dehumidifier can help with this. Plumbing leaks, especially when undetected for a long period, encourage growth of fungus and mold spores in your house. The key to mold prevention is moisture control. We will not only carry out water removal in affected areas, but also ensure that water damage restoration is performed efficiently. It is vital that moisture problems are identified and controlled immediately. 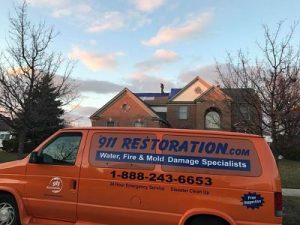 911 Restoration Mold removal will show you how to control moisture, including high humidity to prevent re-contamination. It is a good idea to invest in a hygrometer to help monitor humidity levels and keep them below 55 percent which can be difficult. We will thoroughly examine your home and identify issues contributing to mold infestation. Our testimonials show that we always put the customer first and our services come at an affordable price, so contact mold removal New Orleans specialists with 911 Restoration New Orleans when you smell mold, and we’ll take care of it in no time today!